The Senate Banking Committee passed on a sharp party-line vote Thursday the Financial Regulatory Improvement Act. Democrats including Sen. Warren blasted the bill. The Financial Regulatory Improvement Act advances to the full Senate. The Senate Banking Committee passed on a sharp party-line vote of 12-10 Thursday the Financial Regulatory Improvement Act of 2015, legislation introduced by the committee’s chairman, Sen. Richard Shelby, R-Ala., to roll back some major Dodd-Frank Act provisions. The bill, which has been referred to the full Senate, includes provisions to correct more than “300 nonsubstantive inaccuracies, omissions or errors” in the Dodd-Frank law, seeks changes in the process of designating banks as systemically important, increases “transparency” of the Federal Reserve Board, includes bipartisan measures for the Jumpstart Our Business Startups (JOBS) Act and calls for international discussions on capital standards for insurers. 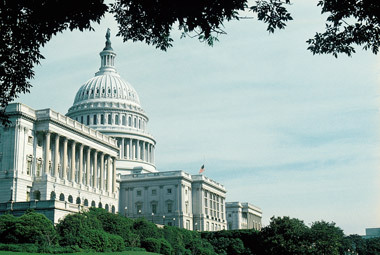 The bill seeks to establish a process to designate bank holding companies (BHCs) as systemically important by replacing the existing framework, in which all BHCs with more than $50 billion in total consolidated assets are automatically deemed systemically important, with a framework that requires the Federal Reserve as well as the Financial Stability Oversight Council to evaluate BHCs with more than $50 billion and less than $500 billion in total consolidated assets, as indexed for GDP growth, for systemic designation based on size, interconnectedness, substitutability, cross-border activity and complexity. Title 5 of the bill, “includes a number of modest provisions intended to address the need for increased transparency of the Federal Reserve,” Shelby said, with three of the provisions being ideas promoted by Democratic members of the committee. “Contrary to some public statements, Title 5 does not require the Fed to use any type of rule in the exercise of its monetary policy authorities. It merely requires disclosure of any rules the FOMC actually employs should it choose to do so,” Shelby stated. — Check out Chris Dodd and Barney Frank: Wall St. Reformers —The 2015 IA 35 for 35 on ThinkAdvisor.